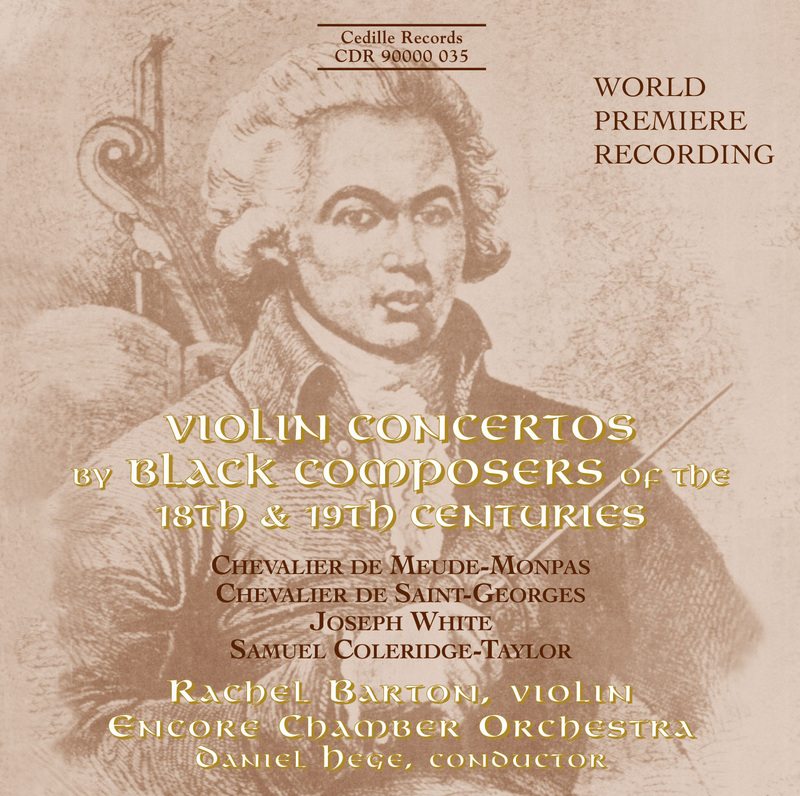 Great classical and romantic era concertos by African-descended composers from Europe and the Caribbean. 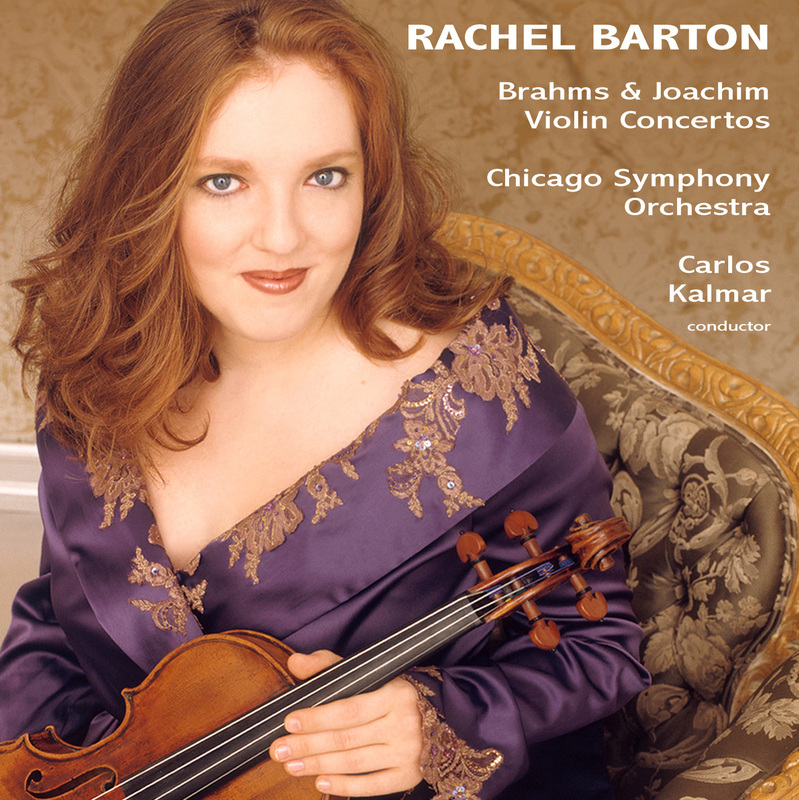 Rachel Barton and The Chicago Classical Recording Foundation would like to thank many individuals and organizations for their assistance in making this recording possible: The Center for Black Music Research at Columbia College (Chicago), Suzanne Flandreau, Adrian Childs, Dominique-René de Lerma, the Free Library of Philadelphia, Kermit Moore, Roosevelt University, Chicago Youth Symphony Orchestras, Jeannette Kreston, Erin Pickett, and Greg Pine. In 1992, I was invited to perform the Meude-Monpas Concerto No. 4 in a concert that the Civic Orchestra of Chicago presented in collaboration with Chicago’s Center for Black Music Research (CBMR). 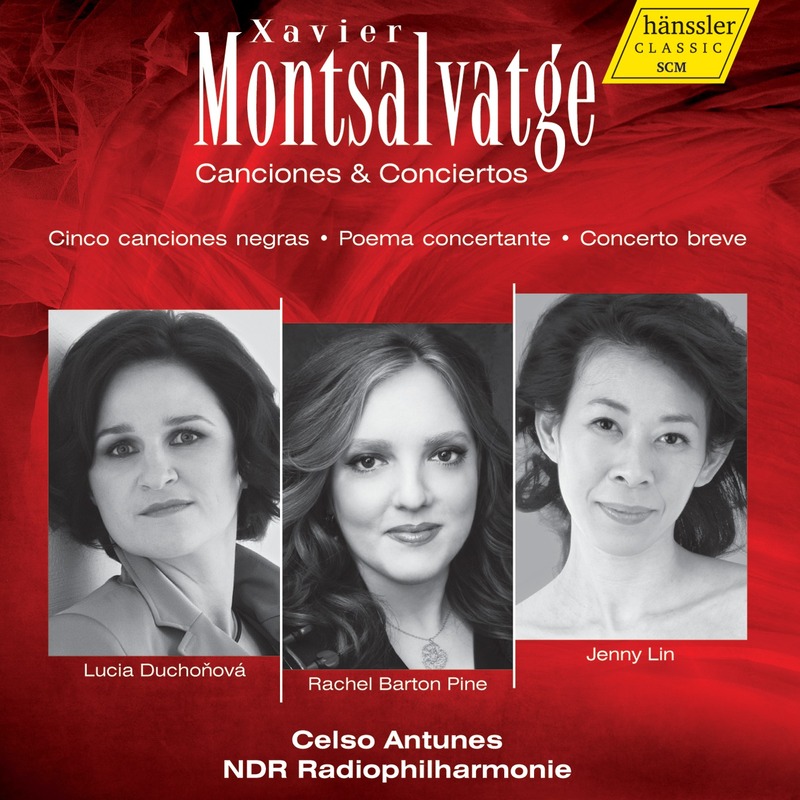 The Meude-Monpas, written in France in 1786, had recently been rediscovered, and this special concert of music by black composers was its modern-day premiere. The music was catchy, fresh, and utterly charming. A few years later, the Encore Chamber Orchestra approached me about a collaborative recording. 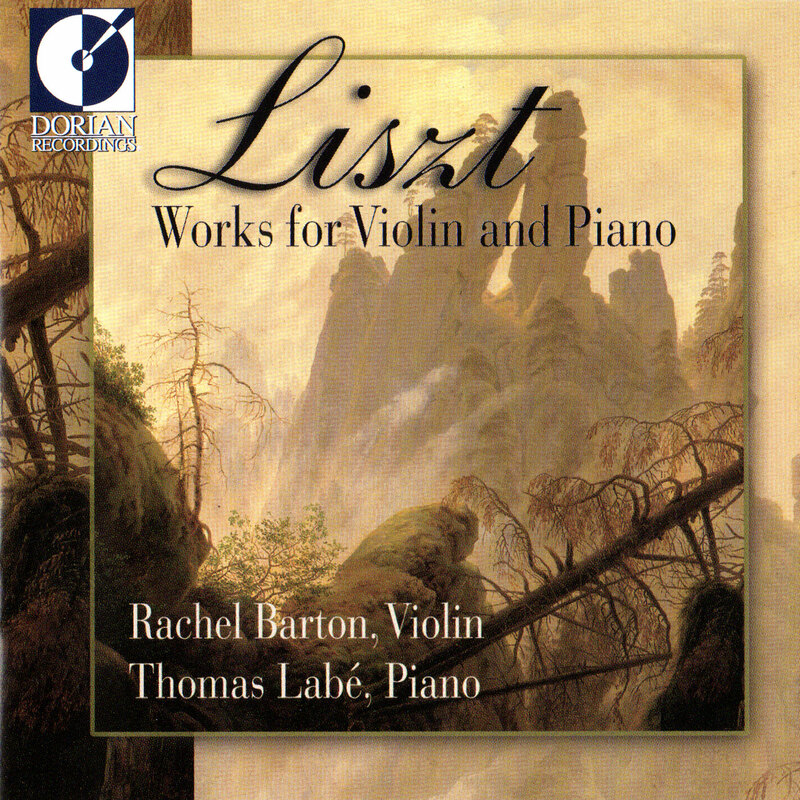 For my first concerto album, I wanted to present interesting works that listeners wouldn’t already have in their libraries. The Meude-Monpas immediately came to mind. Hopeful that other buried treasure might exist, I visited CBMR and began digging. The moment I saw their portrait of Saint-Georges, which prompted the cover for this album, I knew I was on the right track. CBMR provided me with facsimiles of the 18th-century prints of the Saint-Georges and Meude-Monpas concertos. I based my interpretations on these original sources, and I composed cadenzas where the scores indicated. CMBR led me next to the 1864 Concerto in F# minor by Jose White. Learning of this neglected masterpiece was a revelation. 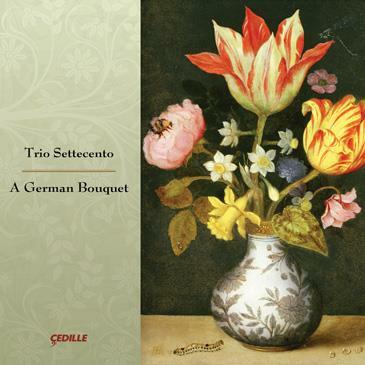 It is a major romantic concerto of the virtuosic Franco-Belgian school, similar to the concertos of Vieuxtemps and Wieniawski and just as melodically satisfying. Samuel Coleridge-Taylor was the obvious composer to complete the program, as his Romance of 1899 is so beautifully orchestrated. Learning about these composers’ lives was as inspiring as exploring their music. I have especially enjoyed sharing their stories and compositions with African-American children, teaching that classical music is a part of their heritage that goes back at least as far as Mozart’s day. I plan to publish my editions of some of these works in the near future. Meanwhile, I hope you’ll enjoy both the historic significance of this recording and the outstanding quality of the music itself.